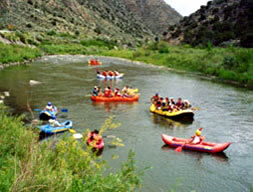 Boating and related water sports are fun, high speed activities enjoyed by many, and as long as all the safety rules are followed, they can be relatively safe family recreation. By law in Texas, anyone between the ages of 13 and 18 must complete a Texas Parks & Wildlife Dept approved safety course and become certified, in order to operate any boating vessel with more than 10 horsepower, any wind-blown vessel over 14 feet, or any personal watercraft. Always carry an adequate supply of bottled water and encourage everyone to drink water during the time you are on the water to avoid dehydration. Also watch for potential hypothermia, especially for anyone who has been in the water. 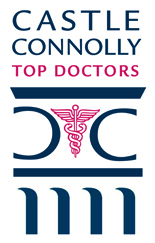 Seek medical help immediately for anyone who seems to be developing either medical condition. Wear appropriate protective clothing and apply and reapply sunscreen during the time you are on the water. Pay attention to the weather, and be prepared to go to shore at the first indication of bad weather, even if a brewing storm seems to be "far off". Storms can have more dangerous effects on the water, especially high winds and thunderstorms which bring high waves and lightening. If you are going out on open water, have a VHF radio with you and know how to use the various frequencies, including those with weather information. If you are going to be reasonably close to shore or on a lake, have a cell phone with you in a waterproof container. Towing sports should only be done on bodies of water large enough to make smooth, easy turns, and where there are not a lot of other boaters and skiers generating too much traffic. The water should not be choppy. Always have a minimum of two people on the boat within easy communication range, where one watches those being towed and one drives the boat. All water skiers or wake board riders should be swimmers before taking up these other water sports. They need to be old enough to be able to understand and to use hand signals, and they need to be strong enough to give hand signals while still holding on to the tow rope. Most injuries are strains, sprains, lacerations, dislocations, and fractures, although some injuries do have the potential to be fatal. As reported in the American Journal of Sports Medicine, in July 2005 Sarah Grim Hostetler and Todd L. Hostetler, MD surveyed water skiing and wake boarding injuries seen in emergency rooms between 2001 and 2003. Their conclusion was that the single greatest wake boarding injury was head injuries (almost 29% of all reported wake board injuries), whereas the single biggest water skiing injury in the report was strains and sprains, (a little over 36% of water skiing injuries). These were primarily to the lower extremities. Water skiing requires a reasonable level of strength and conditioning. A regular exercise routine of thigh strengthening, arm and shoulder strengthening, and proprioception (balance and position sense) exercises should be part of a skier's daily routine. The calves and thighs need to be strong to support the constant up and down motions riding the water. Good conditioning of the thigh muscles helps to protect the knee as well. Balance and arm strength are also important to be able to handle the tow rope safely for a sustained period of time. Injuries can occur from impact with a ski or wake board, from impact with the water at a high rate of speed (often as much as 50 mph), running into objects near the shore (such as boat docks), or from interaction with the tow rope. For wake boarding and trick skiing, helmets and sports safety goggles should always be used. Use only equipment in good condition and which meets the standards of the American Water Ski Association (AWSA). The tow rope needs to be designed where a skier is not likely to catch fingers during a fall. Beginners should only ski in protected areas with calm waters and where there are no other boaters or jet skiers around to pose an unexpected danger. No matter the age or the experience, for towing sports, every person in the water and every person in the boat should always wear a life jacket. For those in the water, it could save their lives if something should go wrong. For those in the boat, in case of an emergency for a skier or water boarder, you would not have time to put on a life jacket before jumping in to provide emergency assistance. Towing young children on inflatables (inner tube or banana boat for example), is probably not as good an idea as it might seem. Children do not have enough swimming skill, enough body weight, nor enough physical strength to be able to react if something should go wrong. 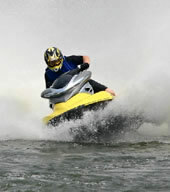 All personal water craft, such as jet skis, also must follow the same rules and laws as any other boat. The main reason they are considered more dangerous than other boating craft is because of how their operators behave on them. Jet ski operators who lack adequate boating experience can make poor decisions, potentially resulting in injury or death. Jet ski injuries are often similar to motorcycle injuries, where the rider is traveling at a high rate of speed at the time of impact. For safety, all riders should always wear a life jacket which fits close to the body, a helmet, and safety goggles. Always have the safety lanyard attached to you to cut the throttle if you should fall off, and always have a whistle attached to your life jacket in case you need to signal for help. Operate personal water craft only during daylight hours, not in reduced light where it is hard to see and be seen. Protect your skin with appropriate lightweight, quick drying clothing. Wear appropriate shoes and gloves to operate your personal water craft with more control. Drink lots of water to avoid becoming dehydrated, and drive sober. Enjoying beer and other alcoholic drinks should be done only after operating personal water craft at the end of the day.